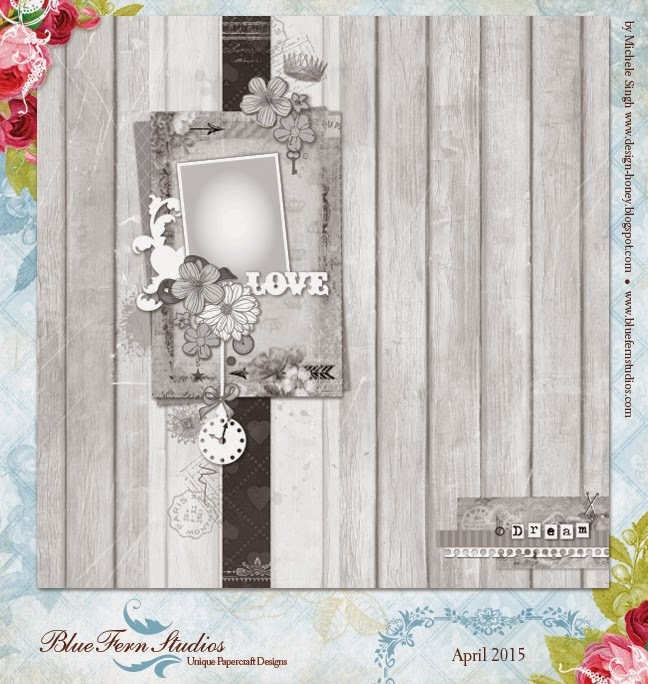 suddenly April is here so let's check out some challenges out there :) Have you seen the new sketch at Blue Fern Studios blog? It's simple yet it gives great possibilities to expose some of your favorite BFS chipboards or any other embellishments - what a beauty! 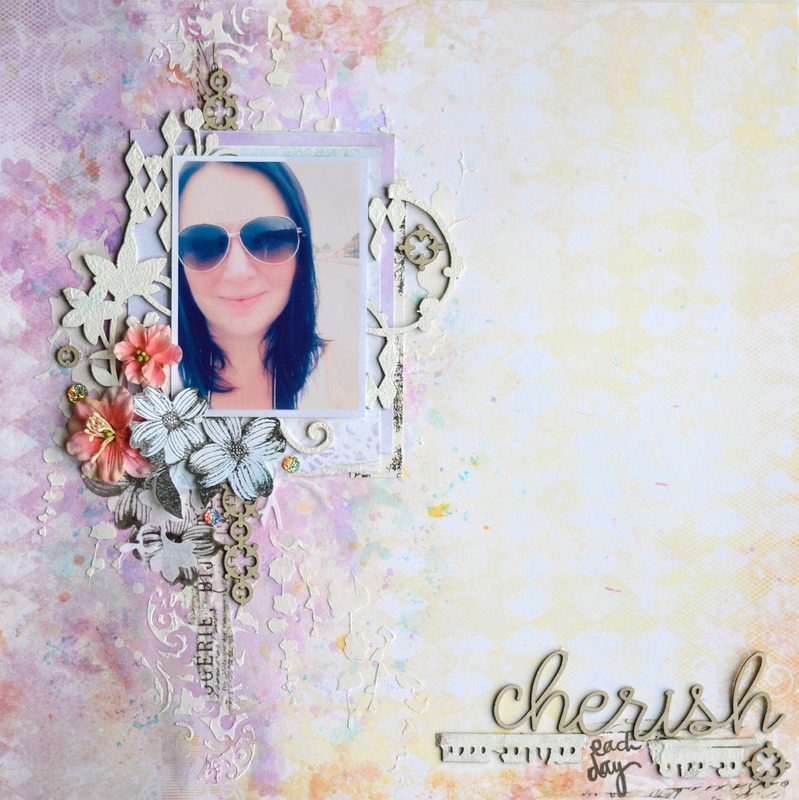 I used a paper from Ombre Dreams and a few chipboards: Mixed chains, Jasmine collade, Notebook edges. Adore love cherish . The bigger pieces are divided and used in few places.